One thing you should always keep in mind when planning a Gantt chart: Take your time and design carefully and precisely - otherwise you won't obtain the desired results. List the three most valued capabilities of your current solution which are indispensable in your new solution. List the three capabilities that you miss most in your current solution. Resource groups that need to get visualized: How many hierarchical levels are required? Different views on the same data needed (e.g. an order based-view and a resource-based view)? Gantt chart needed for reporting purposes (viewing only) or for scheduling purposes (data editing, changing and saving)? Business rules to be taken into account (e.g. for drag & drop interactions if, perhaps, certain machines cannot handle certain orders, interaction thresholds for delivery dates, etc.)? Usage of other applications in the same workflow. Interaction of the Gantt application with other applications? Usage of a database to store task information: What kind of database? Take your chosen Gantt chart tool and put your tasks into major headings. You'll then add the time intervals as you have determined them previously. Draw a horizontal time axis on the bottom of the spreadsheet, page, or whatever tool you're using. Record each task and milestone in their order of occurrence. You'll represent them using a diamond under the time the activity must occur. You'll draw horizontal bars or an empty rectangle that begins from the first day the task will take place and finishes when the task ends. Be sure not to fill in the inside of the rectangle. You need to add every task to your chart. Don't miss even the smallest one. This should be done as each task is performed. Pleased with the result? Taste for more basic facts ? Download our free ebook! Want to dig deeper? 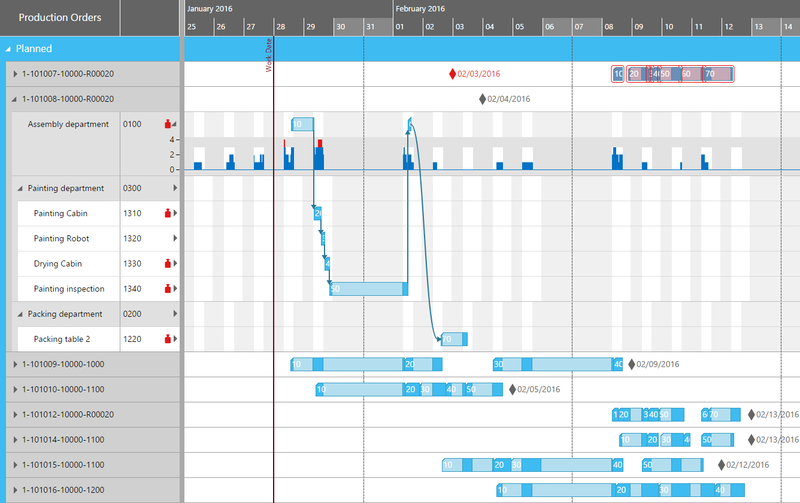 Have a look at how Gantt charts optimize deadlines.